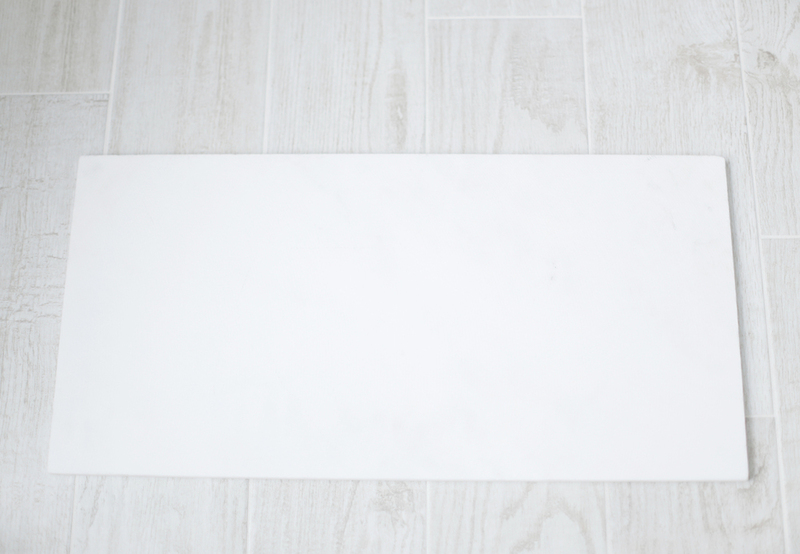 This DIY marble side table will take you a matter of minutes ... literally. There is one step involved. Can I get a heck yes?! Here is the other DIY marble side table I did in case you are interested. And if you are as obsessed with marble as I am right now, you can also check out my DIY marble clock and DIY marble shelf. Let's get to it ... shall we? Turn the marble tile over so the backside is facing up. Measure + place the hairpin legs on the back of the tile, so they are evenly spaced. Trace the "L" shapes on the tile with a pencil. Squeeze out the sealant onto the hairpin legs. Make sure to use clear sealant; otherwise the sealant could show through the porous tile. 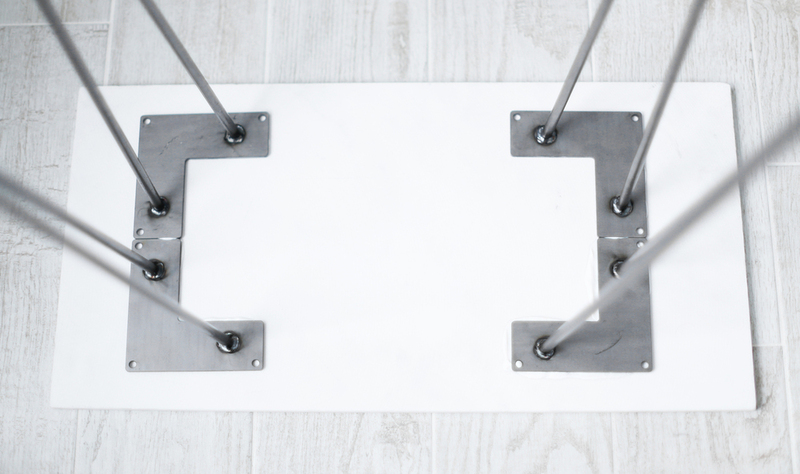 Place the hairpin legs back onto the tile lining them up with your trace marks. Allow to dry for 48 hours. I did these DIY coasters on Shutterfly. 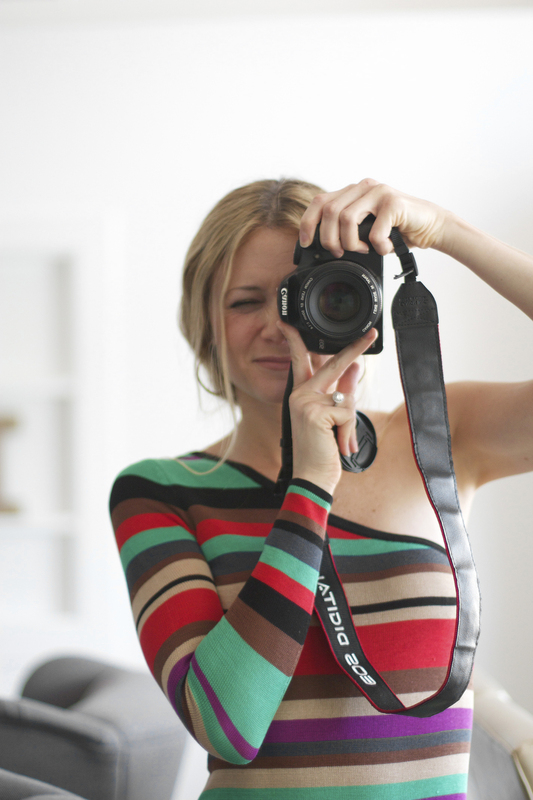 Click on the link to see the step-by-step, and get my free downloadable designs. Here is a lil' video tutorial for you! 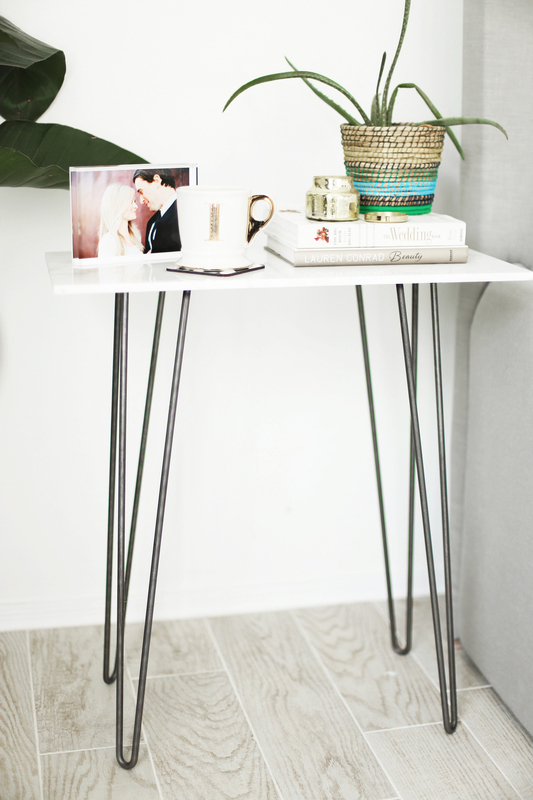 I love how this DIY side table looks next to our bed. You can accessorize your side table however you like. 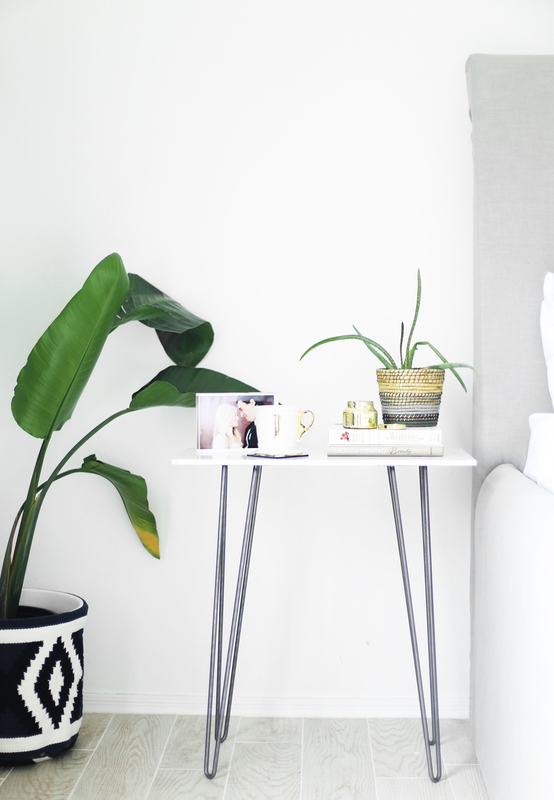 Here is a great video from Emily Henderson on how to style a nightstand. I refer to it often. I'm debating whether or not to paint the legs black. What do you think?